Healthy eating is something that takes time and energy to do. Some people can jump right into healthy eating because their doctor recommended it, but for a majority of people, eating healthy is hard. Whether you want to lose weight to alleviate the pain on your joints or you want to look better, fresh food can be just the change in your diet that will help you meet your goals. In Why You Should Start Eating Fresh Food and How To Eat Healthier, we went over some reasons as to why eating healthy can be beneficial. 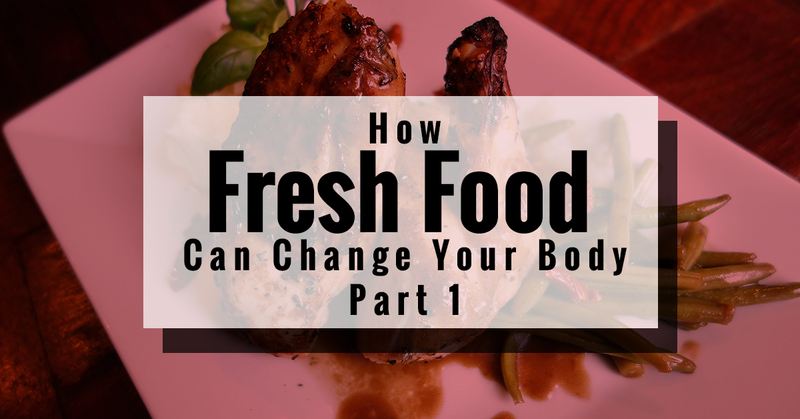 In today’s blog, we’ll go over how fresh food can change your body for the better. So what can eating fresh foods do for your body? Let’s find out below with some of these reasons! Everyone has skin problems. Your skin could be too dry, too oily, too much acne, or too red for you. Whatever the case may be, fresh food can help your skin in some way shape or form. Your skin will look good and feel better when you take the time to eat better. While eating fresh food overall will help, the nutrients in the food will protect your skin from the inside of your body all the way to the outside. Foods that are high in good fat and antioxidants can protect your skin from any sun damage and foods such as vegetables and fish can help decrease the number of wrinkles as well as increase the elasticity in your skin. For those on the younger side, eating fresh food can reduce acne. Cardiovascular issues are very prevalent in American society. Fresh foods are very heart healthy due to the antioxidants and the nutrients that can be found in each one. Many fresh foods have healthy fats, magnesium, vitamins, and other beneficial nutrients for the body. When you take the time to fill your body with foods that are high in nutrients and vitamins, you’ll reduce heart disease. While heart disease can be hereditary, taking care of yourself can first start with eating more nutritiously and a diet that’s void of unprocessed foods. Sugar is something that can be found in a majority of our dishes. Whether you’re eating vegetables from cans or processed meals, sugar is very high in a majority of foods throughout the country. By eating fresh foods, you can control the blood sugar in your body. More than 400 million people have diabetes throughout the world according to the International Diabetes Federation. Diabetes is on the rise in the world as well, so by eating a diet that’s high in fibrous plants with animal foods that are not unprocessed, you’ll be able to cut down on your blood sugar intake and decrease your chances of developing diabetes. Your body is constantly changing, but when you take the time to eat healthier and better, you’ll notice these three attributes change in your body. In addition, you’ll start to lose weight, which will inevitably help your mental and physical capabilities. To get the best and freshest food in the Palm Beach and surrounding areas, shop Joseph’s Classic Market.